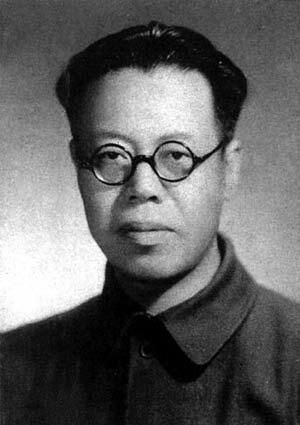 Li Lisan (Chinese: 李立三)was born in Liling County, Hunan province in China on Nov. 18, 1899. He joined the Communist Party when he was 22 years old. He also directly organized labor activities in the early period after the setting up of the Communist Party. The labor activities at Anyuan Coal Mine led by Li, along with Liu Shaoqi, greatly prompted nationwide labor activities, including in areas such as Jiangxi province and Hunan province. Li made great contributions to the anti-imperialism and anti-feudalism war by leading the May 30th Movement and the Wuhan Labor Movement during the Northern Expedition War period. In August 1948, he was elected vice chairman of the All China Federation of Trade Unions. Li made great achievements to the labor activities of new China under the guidelines of the Central Committee. He spared no efforts in developing the organization of trade unions. He drafted several important documents and policies, including "Trade Union Law of the People's Republic of China," "Constitution of the All China Federation of Trade Unions," and "Labor Insurance Regulations of the People's Republic of China." Meanwhile, he also made big contributions to the development of trade union theories. Li always worked very hard in his life as if he was never tired. Although he was wanted by the enemy and had a high reward on his head, he still stayed with the workers to continue the movements. Li was also a famous mobilizer and often lectured without scripts, bravely sticking to his principles. In 1935, Wang Ming tried to usurp the leadership of the Chinese Communist Party, but he received only a cold shoulder from Li. In 1938, in the Great Purges, Li was labeled as a Chinese agent and was imprisoned for one year and nine months by the Soviet Union. Bearing all the pain, he denied all accusations against him. During the Cultural Revolution, even while under the high pressure policy of the counter-revolutionary group led by Lin Biao and Jiang Qing, he never told a lie. Thus, he was persecuted cruelly and died, his reputation still uncleared of a false charge.